Little attention is paid to the surveyors mapping out future construction sites. But projects can’t begin until a topographic survey is conducted and its results analyzed. Determining the shape of the ground sounds simple, but it dictates entire projects. Topographic surveys identify what will work on a site and what will not. That’s why it’s critical that these surveys be done thoroughly by experienced surveyors. Mistakes in a survey can spawn compounding problems later when a project is underway. 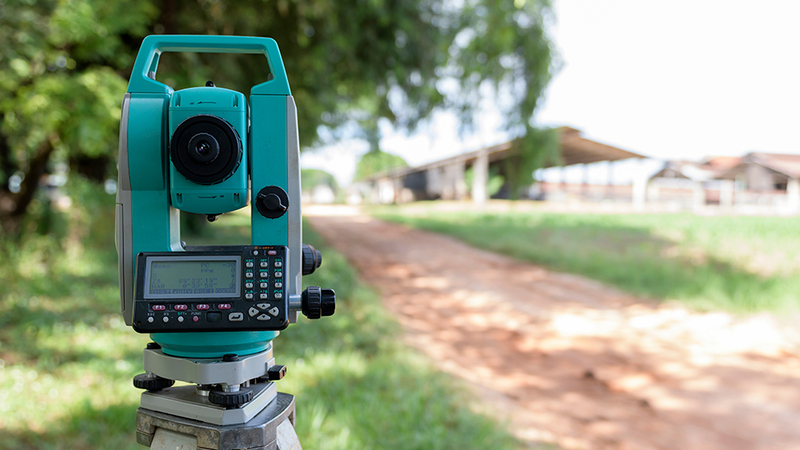 Topographic surveys answer questions about the land on which a building may soon stand. What are the legal boundaries of the land? Is the land level? Are there bodies of water on or near the land that could affect a planned building? What other characteristics of the land might affect what is built on a site? Is the ground prone to flooding? What excavation or other manipulation of the land is needed before construction? Topographic surveys also record natural and artificial features on a site, including built structures like buildings, utility lines and sewer pipes as well as trees or other natural landforms. This gives designers, architects and engineers a complete picture of what they’re working with and helps them craft better plans of action. Just as painters can’t paint without a canvas, buildings cannot be designed—much less built—until a survey sets the basic parameters that will guide the project moving forward. Because surveys provide such critical information early in a construction project, experience matters when choosing a company to do a survey. Good surveyors don’t merely map the land. They envision the future, thinking about how projects progress and using that knowledge to alert decision makers to potential site issues long before they become problems. Surveyors often are the first set of eyes on a proposed construction site. And sometimes, they’re the only ones as engineers and designers may never even see construction sites for themselves. The information and insight provided by surveyors is critical to a successful build. Topographic surveys form the basis of future construction work, and that work is put in serious jeopardy if they are conducted hastily. For example, even small errors in recording elevations on a site could translate to hundreds of thousands of dollars in extra excavation costs as well as long delays. Completing projects based on information from inaccurate surveys presents even greater risks to buildings and the people inside them. If you’re planning a project, do your homework and don’t overlook the topographic survey. Become familiar with your state’s statutes pertaining to surveys and consult the Federal Emergency Management Agency’s flood map for your site. You should also be aware of the municipal zoning and utilities that may affect your site. The Korte Company’s experienced surveyors have an eye for the whole construction process. Because our Design-Build model puts all facets of a construction project under one roof, you can count on The Korte Company to provide accurate, thorough surveys of your planned sites as part of our service. We’re committed to getting all facets of your project right from planning through to completion. If you have any questions about the types of surveys we provide, visit our website. If you’re thinking about potential new construction, our guide to construction financing will explain the financing process and connect you to sources of financing for projects of all types.